In 1971, the Chilean-born Alejandro Jodorowsky arrived in New York from Mexico carrying the only print of a film he’d written, directed, scored, and starred in: El Topo. A surreal Zen-western, it instantly became the first phenomenon of the city’s midnight movie scene, attracting a cult of freaks and faces including John Lennon, Yoko Ono, Bob Dylan and Dennis Hopper. Although this set also resurrects Jodorowsky’s first feature, 1968’s avant-garde parable Fando And Lis, El Topo is where his legend begins. Thirty six years on, the movie retains all its freak-out power. It starts like Leone, with Jodorowsky’s black-clad gunslinger riding the desert. By the time he goes looking for four mystic gun gurus, it’s like Monkey by Fellini. The final third – with Jodorowsky transformed into a humbled, bald albino messiah, tunnelling through a mountain – is like nothing you’ve seen before. Few would have believed he could top El Topo. They figured without 1973’s The Holy Mountain. Working with a much bigger budget, courtesy of Lennon, Jodorowsky sets his vision free in a fried New Age fable, shot like a Technicolor comic-book. He plays guru to a group of would-be immortals – including, apparently, Christ – seeking to scale the Holy Mountain and replace the illuminati at the top. You’ll have no idea what’s happening, but there’s plenty to see, including toads and lizards re-enacting the conquest of Mexico. In costume. These films are grotesque, haunted warehouses, filled with references to religion, the occult, philosophy, psychology, art history, other movies. They could be dismissed as addled, pretentious products of their time, were it not for a cruel, ambiguous humour, and the violent, searing power of Jodorowsky’s imagery and imagination. Whatever else they are, they’re unforgettable. Now 77, Jodorowsky’s cult remains. He’s threatened to return with a gangster movie starring Marilyn Manson as a 300-year-old Pope. You wouldn’t put it past him. EXTRAS: Jodorowsky commentaries; his 1957 mime short, La Cravate, documentaries, deleted scenes, soundtrack CDs. 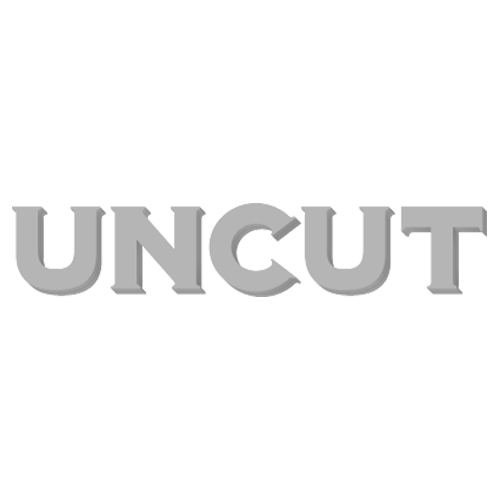 UNCUT: Where did the idea for El Topo come from? JODOROWSKY: In the beginning it was a fairy story. I was meditating five years with a Japanese monk, and I decided not to make a Western, but an Eastern. When I was a child going to see cowboy pictures, I was never seeing the history of North America. I thought the cowboy’s country was a fairy country. That’s what I wanted. Is it true George Harrison was lined up to play the Christ figure in The Holy Mountain? He wanted to play the thief. Bob Dylan also; but they also offered to Dylan in that moment Peckinpah, and Dylan said “I feel more Peckinpah.” But Harrison was interested. He read the script and said: “The script was very good, but there is shot I don’t want to do: you show on screen my bottom, they are cleaning my bottom.” I say, “You don’t want to show your bottom? I cannot do a picture with you!” And so I take a guy, an unknown person from Mexico. Maybe I make the mistake of my life, I don’t know. But I don’t want to make one concession. I want to do what I want.